I always love taking pictures. I believe that every moment and every scene deserve to be preserved through photos as that moment might not or will not come back again. During the early 80’s I always borrow camera from my generous cousin if there is an occasion because we still don’t have a camera that time. Those photos that are in my possession right now are cherished memories of the past and it’s always fun to see them from time to time for it brings a lot of good memories. I’ve been hooked to photography when I bought my DSLR in 2009 and even made a simple photobook of the photographs that I have taken. How’d I wish I have taken a step further with my photography other than being a hobby. It would be nice if I end up a professional photographer just like some of my friends who made it as a business now. But just the same, I enjoyed taking photos all the time.. as in all the time because I have my Project 365 or known as the Photo-a-Day challenge this year. I guess I’d still continue that next year for it can still hone my photography skills even though I rarely use my DLSR anymore. Speaking of being a professional photographer and having a business of their own, I always admire all the photographers who are working very hard to master their craft. Taking photos on different events is no joke as it requires a lot of skill, patience and creativity to bring out the beauty of the event. I reckon, just one of the challenging event to photograph is wedding for there are many details that you need to capture. There’s so much action and emotion during the ceremony that any photographer should be attentive to. 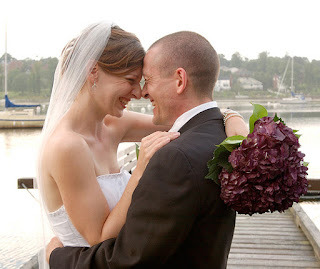 Getting a good photographer for you wedding and other event is a must. Nicholas Sumner Photography, a wedding photography Halifax specializes in wedding, portrait, travel and event photographs. Professional photographer, Nicholas Sumner has been a photographer for almost 20 years and has been shooting various events for a long time now. A thorough browsing of his website can give you a glimpse of his works and whole lots more.